Although blood is mainly a liquid (called plasma), it also contains small solid components (red cells, white cells, and platelets.) The platelets are best known for their importance in clotting blood. However, platelets also contain hundreds of proteins called growth factors, which are very important in the healing of injuries. These growth factors stimulate and regenerate aged and damaged skin. PRP is Platelet Rich Plasma with many more platelets than typically found in blood. The concentration of platelets can be 5 to 10 times greater (or richer) than usual. To develop a PRP preparation, blood is collected from a patient. The platelets are separated from other blood cells and their concentration is increased during a process called centrifugation. Over time, as the follicles shrink, they produce hair that is thinner and thinner, until they reach a point where they stop producing hair at all. 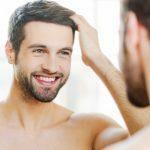 Injecting Platelet Rich Plasma into the scalp can cause the shrinking hair follicles to become healthier and larger, producing thicker and fuller hair growth. 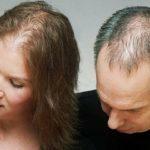 PRP Hair Restoration is recommended for both men and women. 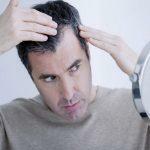 It is a safe, non-surgical, natural, alternative medical procedure for the treatment of hair loss or hair thinning. PRP is injected with a thin needle into the scalp and stimulates inactive hair follicles into an active phase. We recommend multiple treatments within a certain period of time (typically intervals between treatments 3-4 months). Number of treatments will be defined based on patient’s needs and concerns. The procedure usually takes around 60-90 minutes and patient can return to the normal routine the next day.